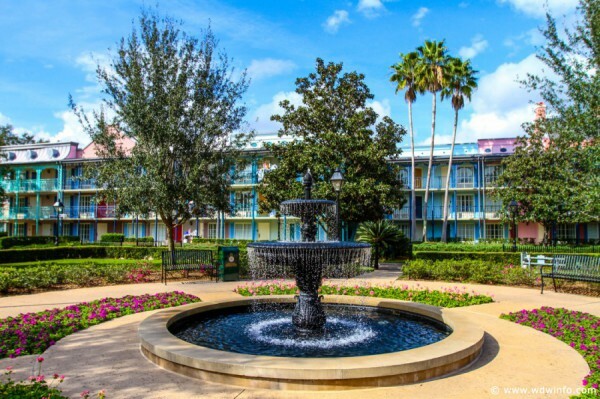 One of the most overwhelming things for first time visitors planning their Walt Disney World vacation is choosing their resort. If you don’t know very much about Disney World, the selection can seem daunting. 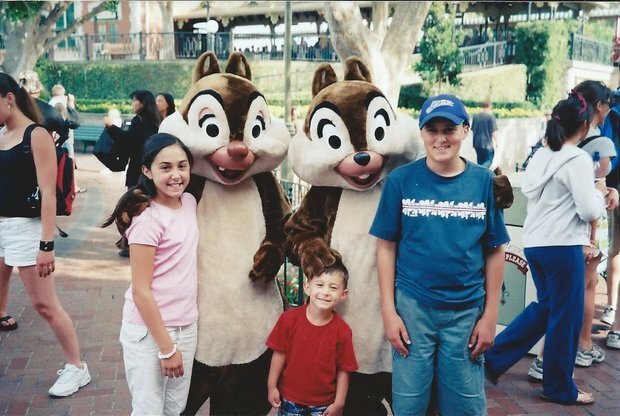 And because the cost of a Disney trip can make it an infrequent destination for a lot of families, you want to be sure that your choice is as perfect as it can be. No worries — I can help you with that. This is the first in a series of four articles that give suggestions for the best on-property Disney resort in each category, based on the ages and needs of those traveling in your party. This article focuses on families with young children, from infancy to age five or so. 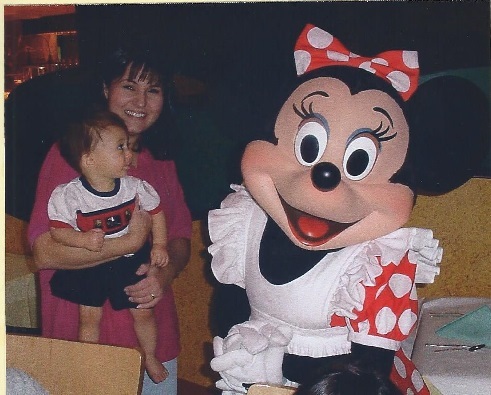 My family has traveled to Disney multiple times with kids in this category, and my opinions are based on our experiences — both good and bad — of staying with young kids at Disney resorts. 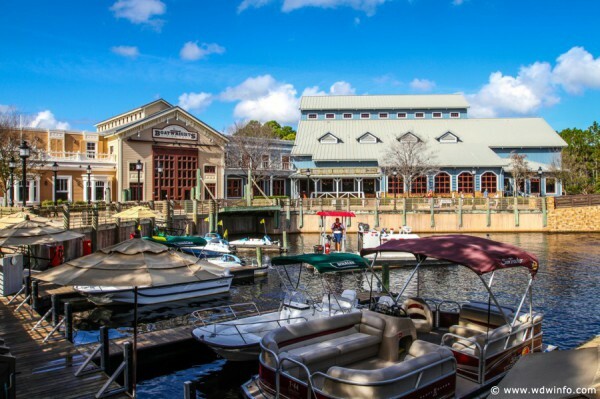 Disney divides their on-property resorts into four categories: Value, Moderate, Deluxe, and their “home away from home” or Disney Vacation Club properties. These distinctions are primarily based on price and the amenities offered at each resort. This series of articles will only focus on the resorts in the Value, Moderate, and Deluxe category, where first time visitors are most likely to stay. So, with that out of the way, on to the resorts! My choice for best value resort for kiddos five and under is, hands down, Disney’s Art of Animation Resort. 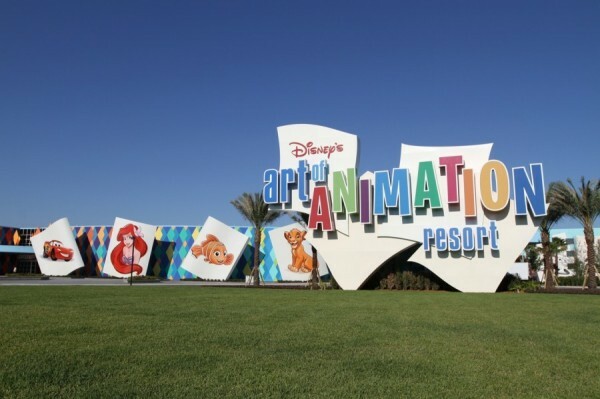 There is no resort that screams, “We’re in Disney World,” quite like Art of Animation. It is so incredibly well-themed and immersive, you’ll think you’ve landed smack dab in the middle of a Disney movie. 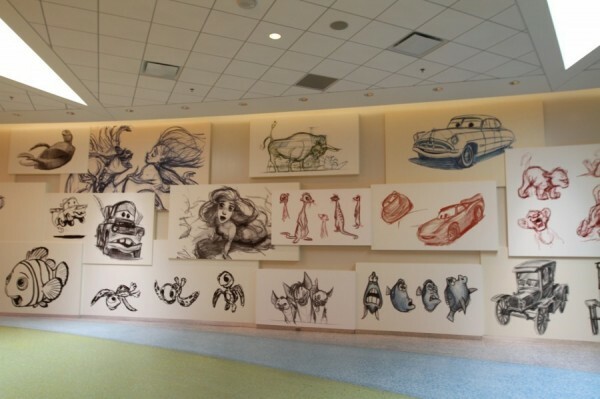 Your entire family will feel that Disney magic as soon as they enter the lobby, which is supposed to represent the mind of a Disney animator. There is so much to capture your imagination at this resort, it’s hard to know where to look first. Everything is over-sized to make you feel as though you are one of the Disney characters. And it works! This resort is amazing and enchanting, all at the same time. 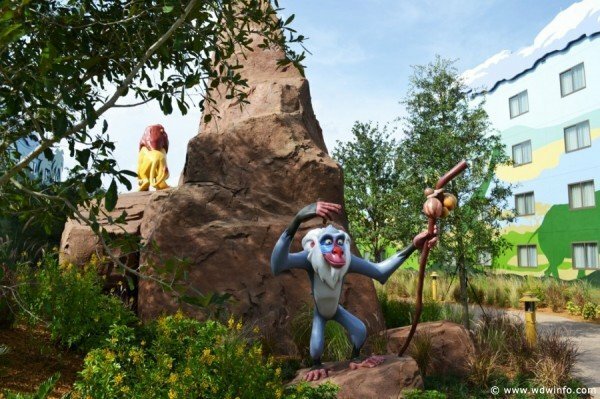 Art of Animation is divided into four separately themed areas based on the movies Cars, Finding Nemo, The Lion King, and The Little Mermaid. The rooms in the Cars, Finding Nemo, and The Lion King sections are all family suites, with a separate bedroom, two full bathrooms, a kitchenette, and a dining area that turns into a Murphy bed. The couch in the living room also converts into a sofa bed. These rooms sleep six (plus a child under three in a Pak and Play, if you choose). 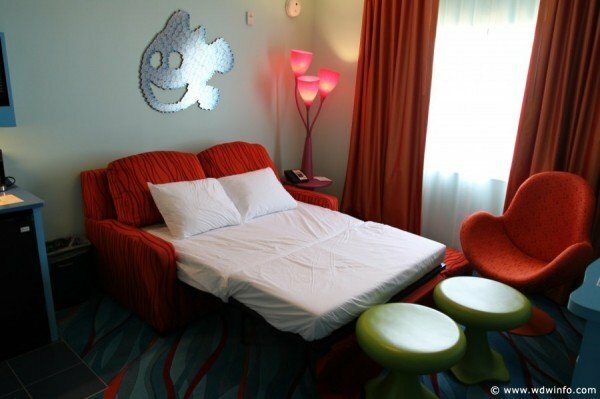 The Little Mermaid section of Art of Animation consists of standard hotel rooms that sleep four. This is great if you have a small family and don’t really need the space (or want to pay the price) of a suite. They are very popular, and you need to book early if you want a room in this section. The furnishings and designs in both the standard rooms and the family suites at Art of Animation are imaginative, colorful, and whimsical, and young children are excited to stay in what looks like a scene straight out of their favorite movie. 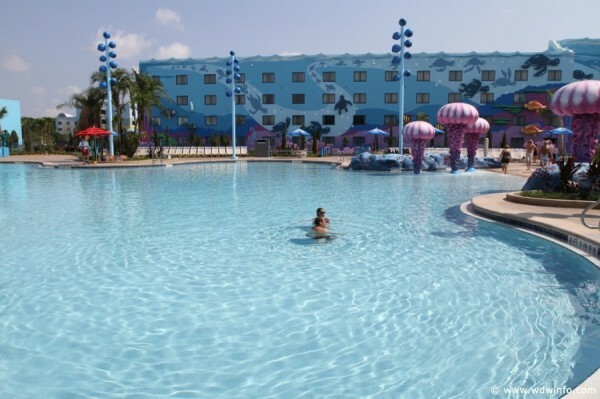 Art of Animation also has the largest pool on Disney property, The Big Blue Pool. It is perfect for young children, with a zero entry side, a splash pad, and huge, brightly-painted undersea creatures decorating the area. This is the perfect place to spend a day playing with your little ones when the parks become too overwhelming. And both the Cars and Little Mermaid sections of the resort have quiet pools, if you want your time to be a bit more relaxing. Also, don’t be disappointed when your small children want to spend almost all of their time at the pool, instead of in the parks. That seems to be a universal wish among kids in this age group. They’ll grow out of it, I promise. And with this resort, you won’t be reluctant to have a “pool day” or two. 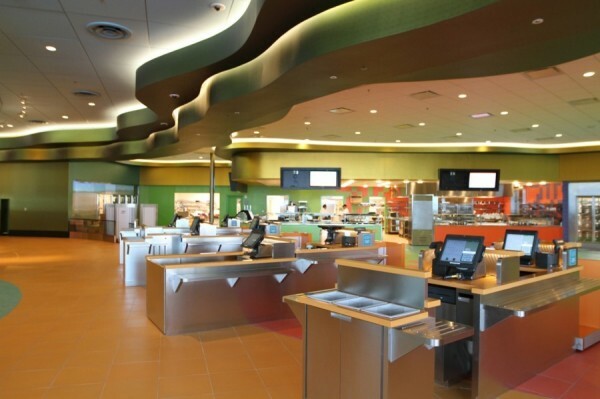 The Art of Animation resort has the best food court on Disney property, Landscape of Flavors, and you and your kids will have no problem finding delicious choices for all meals (and snacks) right at your resort. Disney’s Art of Animation is served by the Disney bus system. 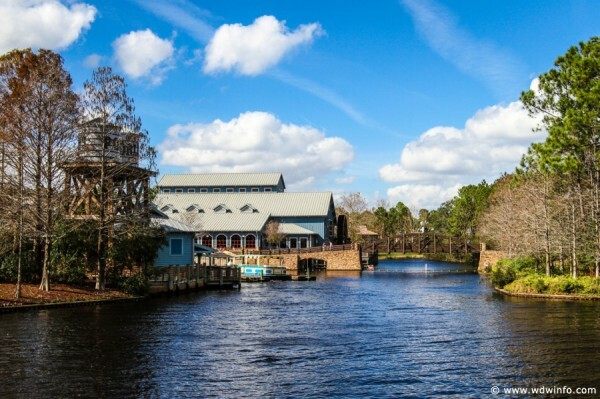 Port Orleans is my choice for the best moderate resort for the five and under crowd for several reasons. First is the intimacy and small footprint of French Quarter. This makes it much easier to navigate than some of the larger resorts. It also makes a huge difference when you are carrying a sleeping four-year-old from the bus stop to your room. Trust me, your back will thank you for it. The pool area in French Quarter is also very appealing to children. Everything is brightly colored in the traditional gold, purple, and green of Mardi Gras in New Orleans. 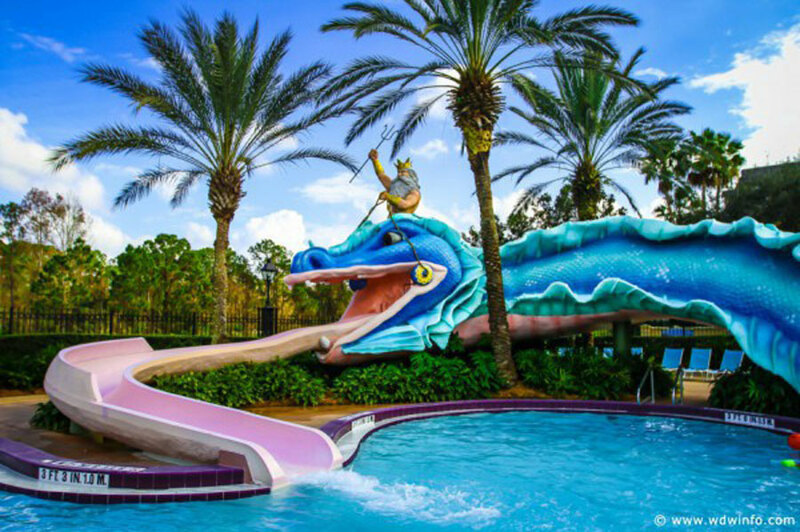 Doubloon Lagoon features a friendly sea serpent water slide named Scales that most kids can’t resist. They also have an adorable splash pad with a toddler-sized water slide, and plenty of sprinkler features to keep your little ones entertained for hours. Be sure to allow for an afternoon here in your schedule, because once the kids see it, there will be no escaping it. If you have a princess loving child, the Royal rooms at Port Orleans Riverside are perfect for this age group. 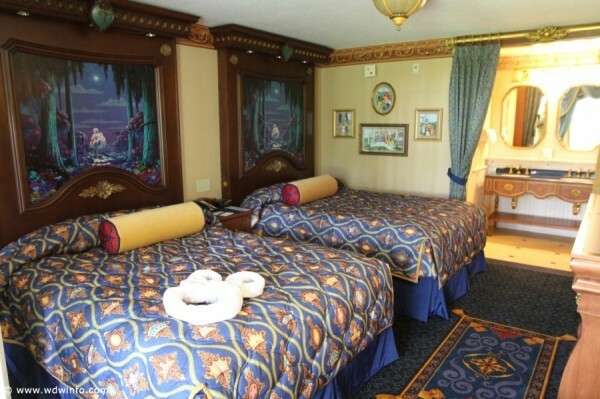 The backstory for these rooms is that various Disney princesses have stayed here while visiting Princess Tiana, and have left behind small gifts in appreciation such as Aladdin’s magic carpet, Genie’s lamp (your bathroom faucet), and lots of “photos” of the princesses decorating the walls. The highlight of the room is the LED fireworks display in the headboard of the beds, which you can activate with the touch of a button. It’s truly magical for the little ones — and the grown-ups as well. There is an up-charge for staying in a Royal room. Because French Quarter and Riverside are sister resorts, you can share the amenities of both when you stay there, including the food service areas and the pools. The Port Orleans resorts are served by the Disney bus system. 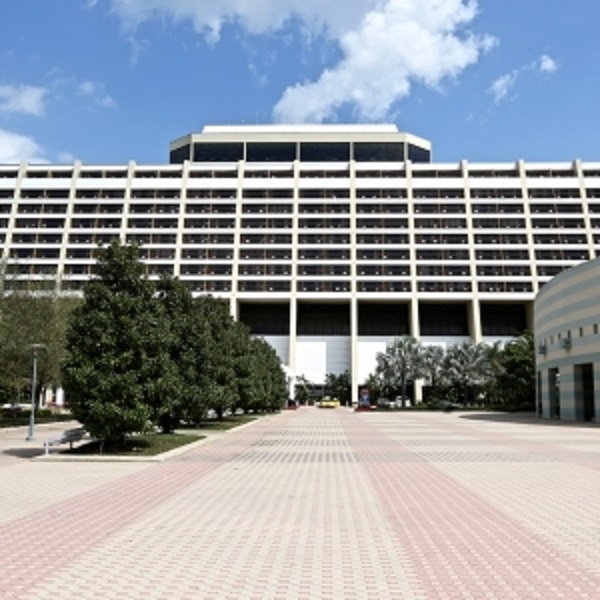 And the winner in this category is….the Contemporary Resort. This was not a difficult choice for me at all, for several reasons. One, it’s a beautiful resort. I’ve loved staying here ever since I was a child. It’s a magical place for kids. The monorail runs right through the center of your hotel. How cool is that? Plus, with the open atrium, the excitement surrounds you. 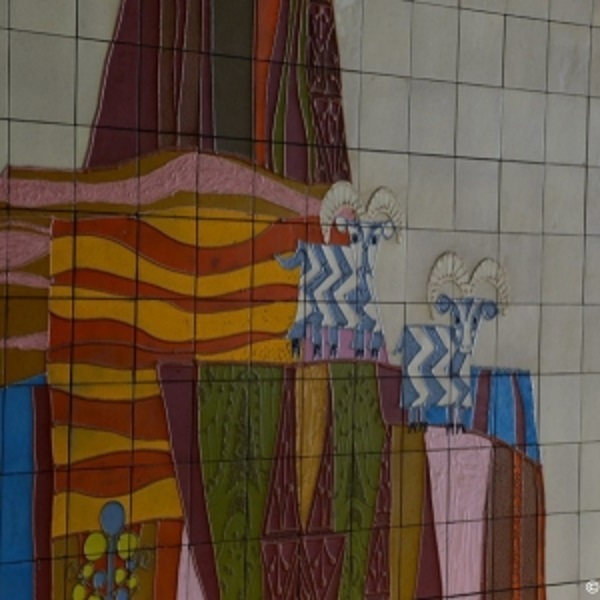 And I always loved trying to find the five-legged goat in the huge Mary Blair mural in the Grand Concourse. But my number one reason for choosing this Deluxe resort for little ones? It’s within walking distance of the Magic Kingdom. Honestly, you cannot underestimate how valuable this is to you, unless you’ve had to evacuate a sleeping toddler from their stroller onto a Disney bus, and then taken the twenty minute ride back to your hotel. By the time you arrive, the toddler is wide awake — and probably not very happy. If you stay in the Contemporary resort, you can just keep your kiddo in their stroller all the way back to your hotel room, and that is truly magical. Also, Magic Kingdom is where you will probably spend the most time with this age group, and being close to it is worth every penny. 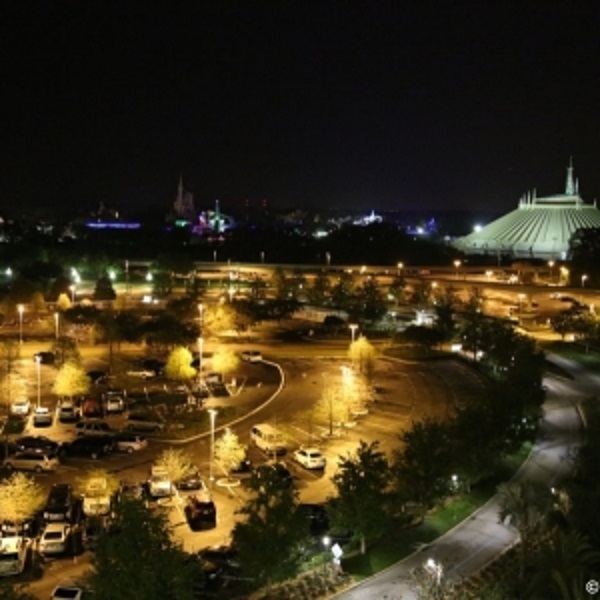 And if you book a park view room and the kiddos conk out early in the evening, you can head back to your hotel and watch the nightly fireworks right from your balcony. The Contemporary Resort offers multiple dining options, including the spectacular California Grill. 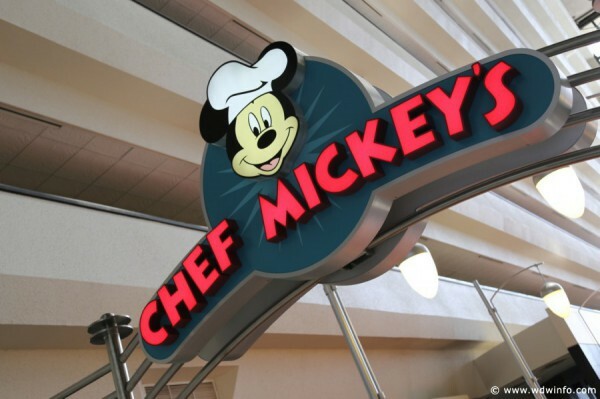 Kiddos love Chef Mickey’s, and while the food isn’t necessarily first-rate, the atmosphere and convenience for hotel guests is. The Contemporary Resort is served by the Disney World monorail and bus systems. So, there you have it. Three great resorts that will make vacationing with your little kiddos a more magical experience. Bringing young children to Disney World is so much fun. Everything is new and exciting in their eyes, and the memories you make with them at that age will stay with you forever. Enjoy your vacation! Oh, and if you have suggestions for resorts that worked best for you and your young children, leave them in the comments. The more suggestions and recommendations for first-time visitors, the better.